Fall is full of family traditions at our house! One of the tastiest is my mom's caramel apple dip. I got this recipe from my mom and we love to eat it while we carve pumpkins, watch movies, and any other time we find an excuse! Melt all ingredients in a crock pot or on the stove top on low. Mix occasionally. Once combined serve with green apples. 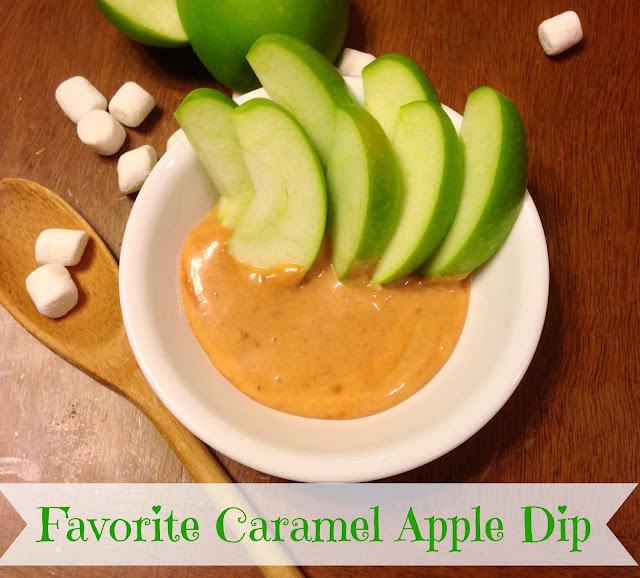 This is such an easy and tasty twist on caramel apple dip! This looks awesome! I'm making a bunch of appetizers this weekend for a party and think this would be great...but do you think one recipe is enough or would you suggest doubling it?